A major new initiative has been launched in a bid to improve social impact on a national scale. Amplify Social Impact (Amplify), which was launched by the Centre for Social Impact (CSI) on Thursday, aims to provide a range of solutions to help the social sector measure, understand, and achieve social change. The $12 million project will incorporate a platform of online tools, a set of research reports, and a series of events across Australia that will help improve social outcomes in five social issue areas: housing, education, work, social inclusion, and financial wellbeing. CSI CEO and project owner Professor Kristy Muir told Pro Bono News, the aim was to “seriously catalyse” social change at a national level. “Importantly it’s connecting what might be happening at a local level and what organisations and individuals might be doing to create change within their communities or the areas they work in, with what’s happening at a bigger picture national level,” Muir said. “In Australia, we spend $500 billion on social purpose, yet more often than not, we have no insights into how effectively we’re helping people. The online platform incorporates a number of tools including Australia’s Social Pulse, which tracks key social issue areas over time; Indicator Engine, which helps organisations find the right indicators to measure; and Yardstick, which reveals programs, strategies, and initiatives across the country that are achieving outcomes and impacts, providing opportunities for replication and improvement. In addition to the online platform, CSI is also building an evidence base for key issue areas to provide detailed insights and a benchmark to measure social change by, and it will hold “Connect and Convene” events to generate ideas and form a national plan of action. Muir said they wanted to bring people together to drive a shared purpose. “I’ve spent a lot of time working with amazing people and organisations in terms of trying to create social change and address really complex problems. I think where we get stuck sometimes is how do we take individual examples and some great work that might be happening locally and think about… why is it that some of the macro numbers aren’t changing,” she said. “We still face in Australia… all sorts of complex social problems that aren’t being addressed. The project has received consensus across the spectrum of the social sector, from small community organisations through to large NFPs. Dr Elli McGavin, national head of policy, research and social justice for The Salvation Army, said Amplify was the first project of its type that looked at enabling social change in this multifaceted way. “The social sector is often under-resourced, with inconsistent benchmarks by which to understand and measure social issues. Amplify provides an opportunity to develop a national view on these key issues and bring collective intelligence to the impact we are achieving,” McGavin said. 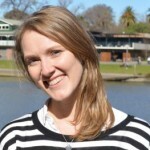 Bidwill Uniting community-network developer Bec Reidy said as a small NFP they wanted to understand not only the impact of their work but also the bigger picture. “We want a robust understanding of the issues we’re trying to solve, and a way to tell if our work is making any difference,” Reidy said. The project has received $5 million in stage-gated funding from UNSW Sydney to get started with the evidence base for the first social issue area – housing – expected in June this year. CSI is also in the process of forming partnerships and fundraising to enable the achievement of the full project. Muir said she was looking forward to working with a “whole host of people” who were as passionate about social change as they were at CSI. “And for us to really think big picture around how we shake it up and how we actually create the kind of change that we all want to see for Australia,” she said. I do hope that Lived Experience is taken into account when AMPLIFY gets going?